To request a L’Occitane newsletter simply click the request Newsletter button below and you will receive exclusive offers, news and beauty tips. Enjoy a moment of delight with our collections of skincare, body and fragrance products that combine natural, traceable ingredients with delicious scents and luxurious textures. Discover our customer favourite iconic collections including Almond, Immortelle, Shea Butter and Verbena. Sign up for the latest products and exclusive savings. Introducing our first ever Gourmand fragrance - Terre De Lumière. Meaning the “land of light”, our new Eau de Parfum is inspired by a special time of the day in Provence known as the Golden Hour… A short moment at dusk as the sun falls and the sky fills with golden and purple lights. The air is filled with the most fragrant Provençal scents. The fragrance consists primarily of edible “notes” such as honey and almond. This eau de parfum is warm and enveloping, perfect for lovers of rich and sweet fragrances. Sign up for savings and beauty tips from the experts - sign up to the L'OCCITANE newsletter today. 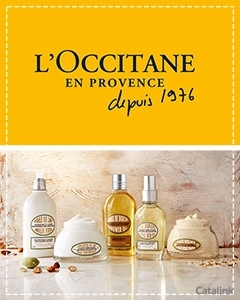 LOccitane Newsletter Elaine M. said: Fantastic free gift and free samples to tempt the buyer! LOccitane Newsletter Sally N. said: Absolutely love the Divine cream! LOccitane Newsletter Lara P. said: I just love it. LOccitane Newsletter Valerie F. said: Great online info.Lots to see and loads of choice. Whether youre a gardening enthusiast or you just want to do your bit for the environment, Recycle Works will equip you with everything you need to do your bit &#8211; whatever the job. Grow your own produce, protect local wildlife and switch to solar polar with their spectacular environmental range. Enjoy the classic way of shaving, and treat yourself to a closer, smoother finish with every shave. <i>The Executive Shaving Company</i> are leading the way in high quality shaving and grooming products, to give you the best shave possible.